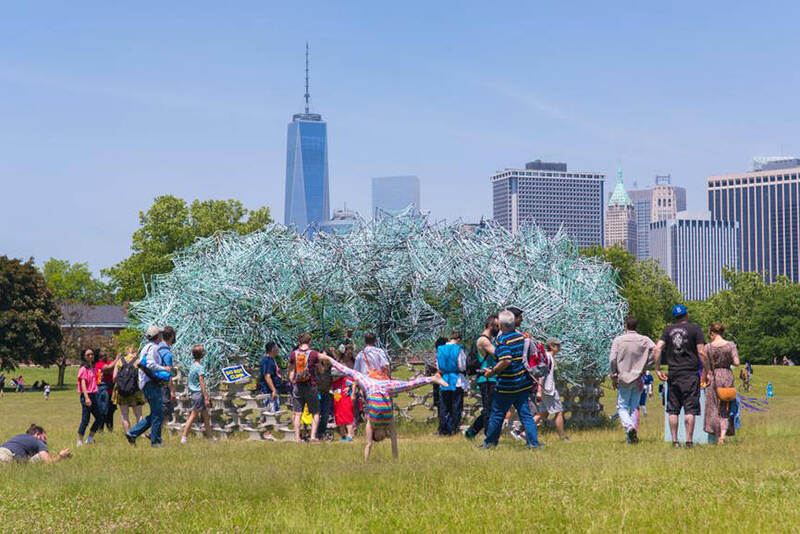 This summer the Governors Island will become a playground of interactive structures mounted in collaboration with Emerging NY Architects Committee, Structural Engineers Association and FIGMENT, a forum of emerging artists working in various disciplines. 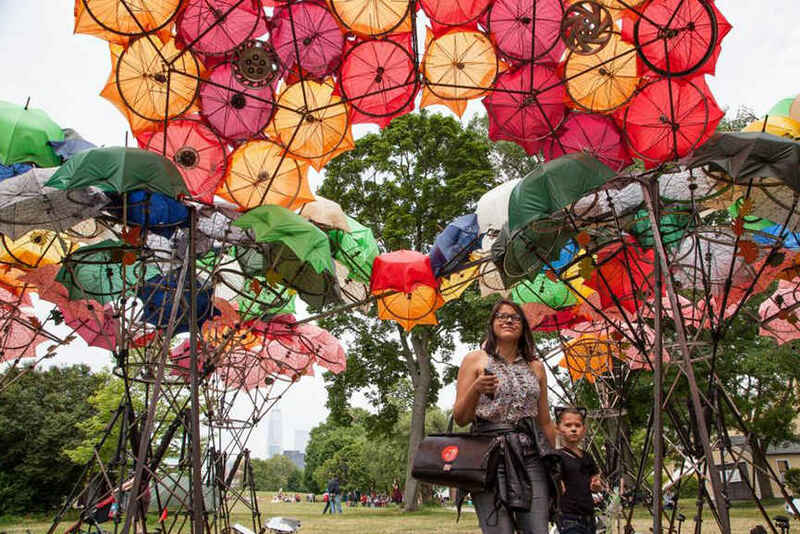 The parade ground on Governors Island between Brooklyn and Manhattan will feature a fully functional Benjamin Jones’s tree house, artist-designed mini golf course and, two winning pavilion projects along with other sculpture and installation works, performances and workshops. 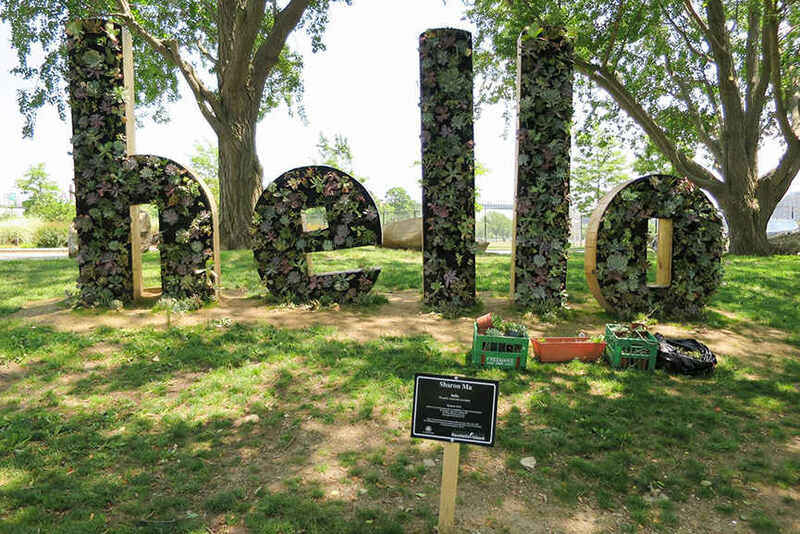 This truly artistic summer in the city can be experienced on Governors Island through September 20th. As part of the Young Architects Program, MoMA PS1 presents the winning project of Andrés Jaque titled Cosmo. The Cosmo installation is made of customized irrigation components and this hanging garden is designed and engineered to filter 3,000 gallons of water during a time cycle of four days. By creating this installation Andrés Jaque, addresses some major ecological concerns and his Cosmo garden shows how scarce water supply can be dealt with in an artistic way. 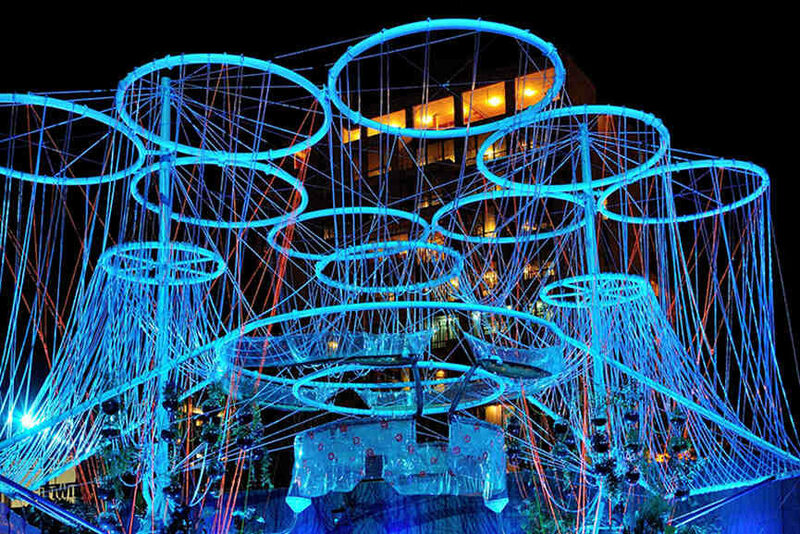 Cosmo installation will be on display at MoMA PS1 courtyard on Long Island until September 7th. 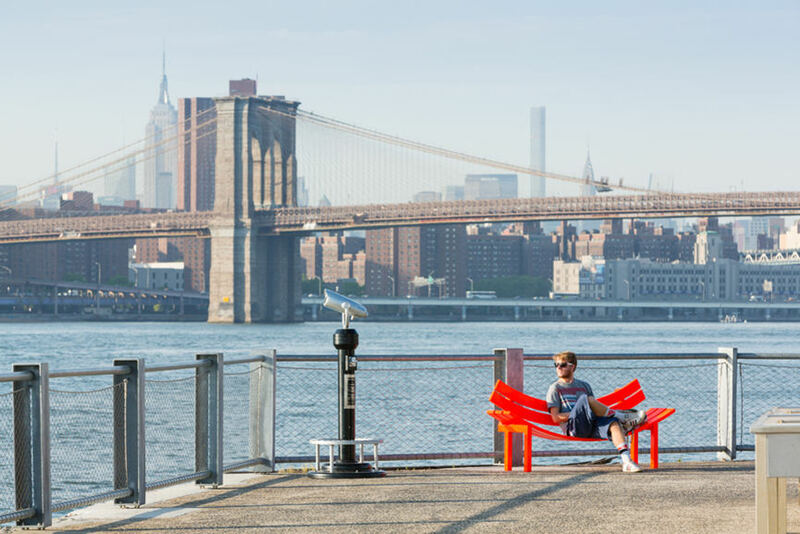 An outdoor exhibition Please Touch the Art will take place in the Brooklyn Bridge Park until the 28th of September. 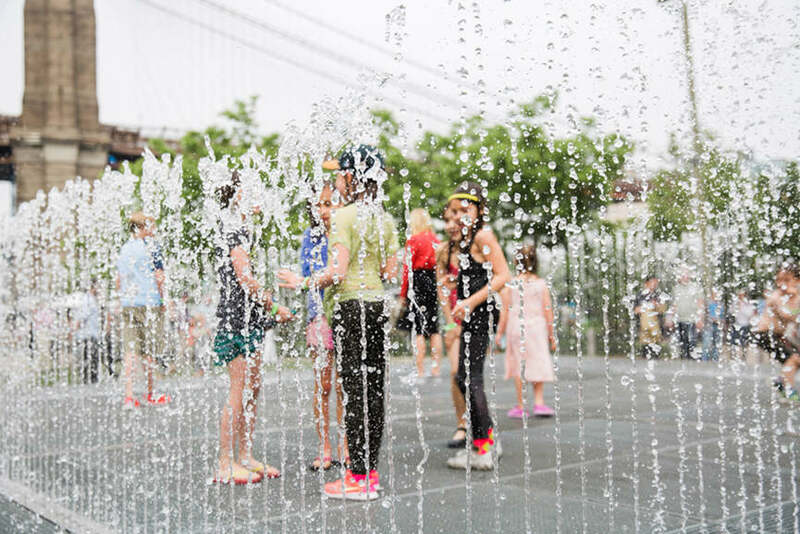 This interactive exhibition of Jeppe Hein’s work will include Appearing Rooms installation with walls of water that create rooms which appear as the jets of waters rise from the ground. 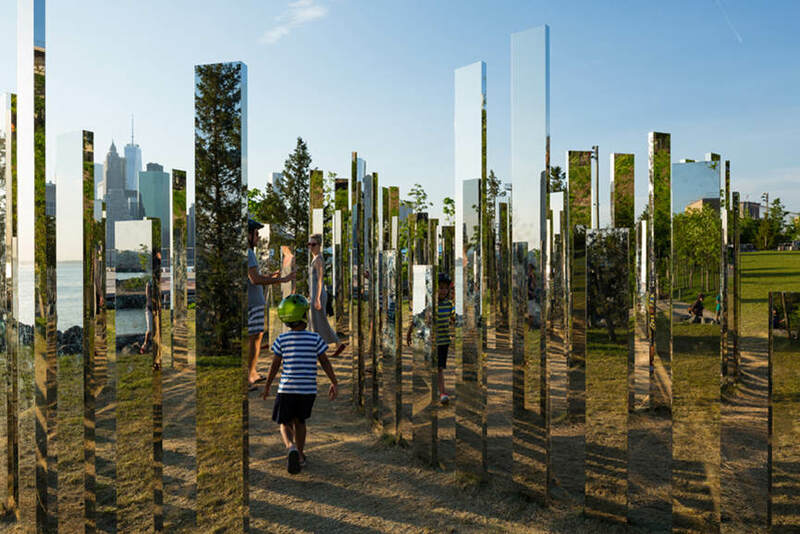 Mirror Labyrinth NY is another interesting public installation created by this Danish artist which consists of uneven mirror-polished stainless steel elements that resemble the NY City skyline when looking from afar. Except these two monumental installations, a series of park benches are installed throughout the park. 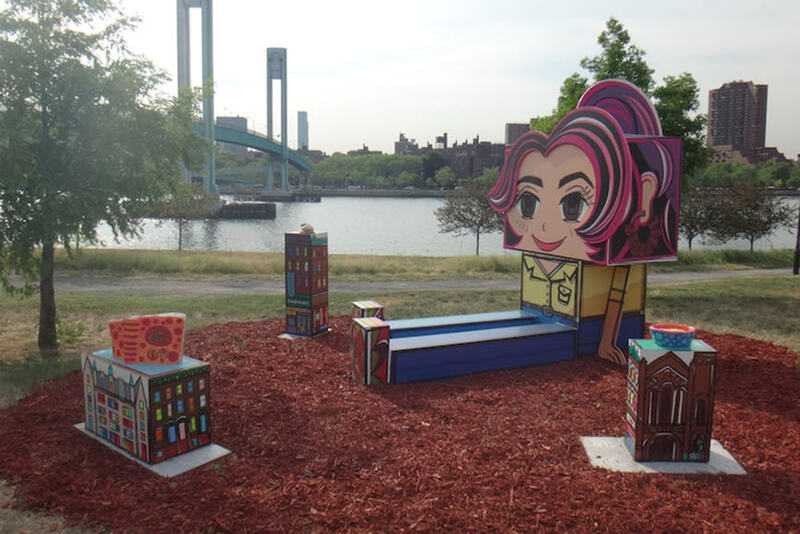 If you want to find all these works you can download the scavenger hunt guide or look for the instructions on the location of these installations at Brooklyn Bridge Park Conservancy Information Station. 14 Sculptors group of artists is bringing new sculpture installations along the esplanade leading up to the High Bridge. Only nine of them are actually participating in the Oh Sit! 14 Sculptors Consider the Chair group exhibition which opens up a question of the concept of the chair. Chairs are seen not only as the functional objects but as objects of cultural significance and artistic value. Dan Bergman, Allan Cyprys, Robert Dell, Gregoire Ferland, Esther Grillo, Christina Jorge, Siena Gillann Porta, Herb Rosenberg and Chuck von Schmidt are exploring the notion of the chair challenging the common beliefs we have about these everyday objects. The sculptures will stay on display until 8th November. Admirers of Frida Kahlo’s work are in for a real treat this summer. 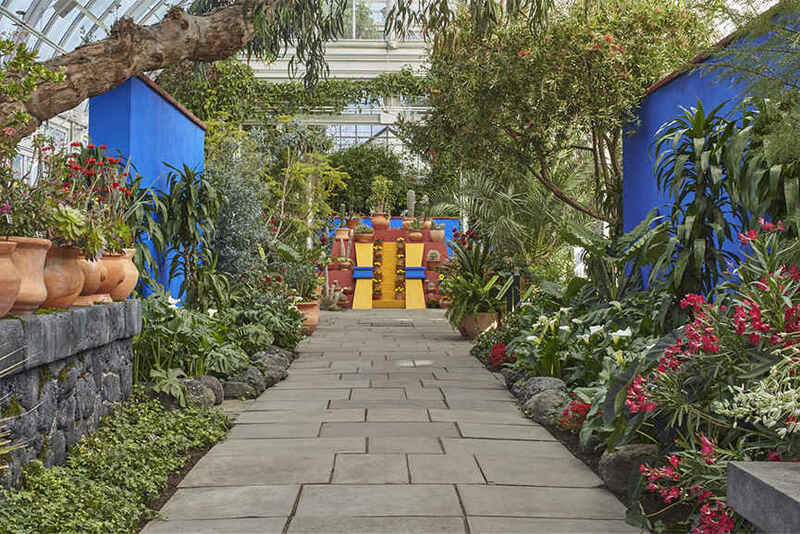 The New York Botanical garden in the Bronx is hosting an exhibition of Frida Kahlo’s paintings and drawings along with the installation which reimagines Frida Kahlo’s studio and garden at the Casa Azul in New Mexico in the Haupt Conservatory. Additional events will involve lectures, music performances and Mexican-themed dining experiences including Kahlo’s personal recipes. This homage to Frida Kahlo’s life and work will run until 1st November. French-born artist Pierre Huyghe has installed his third site-specific commission at the roof of the Metropolitan Museum of Art. Pierre Huyghe contemplates on the biological systems and prehistoric past through his project which consists of a huge fish tank filled with water, bedrock boulder and upturned paving stones with plants starting to emerge from the exposed space between them. 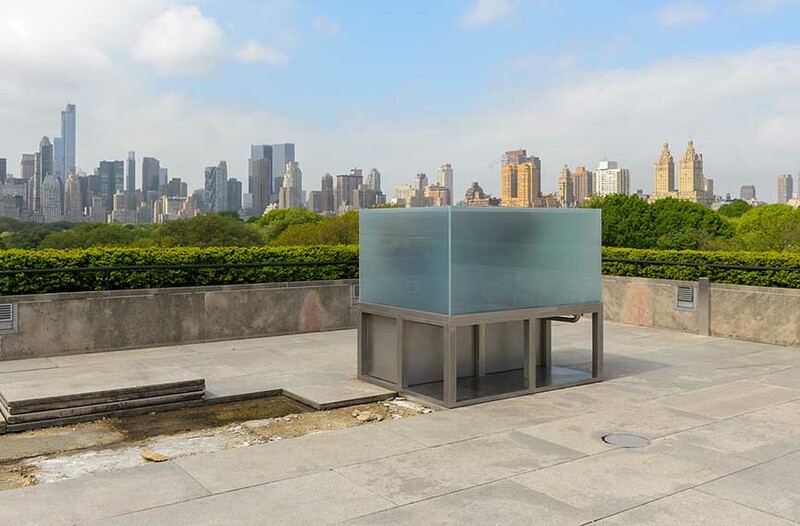 Pierre Huyghe’s Roof Garden Commission can be seen until November 1st at the Met Museum. Blocks installation created by Rashid Johnson can be found on the High Line at Little West 12th Street. This minimalist piece is a three-dimensional steel black grid which hosts several busts painted to look like they’re made of shea butter, a material which became the trademark of Johnson’s work. 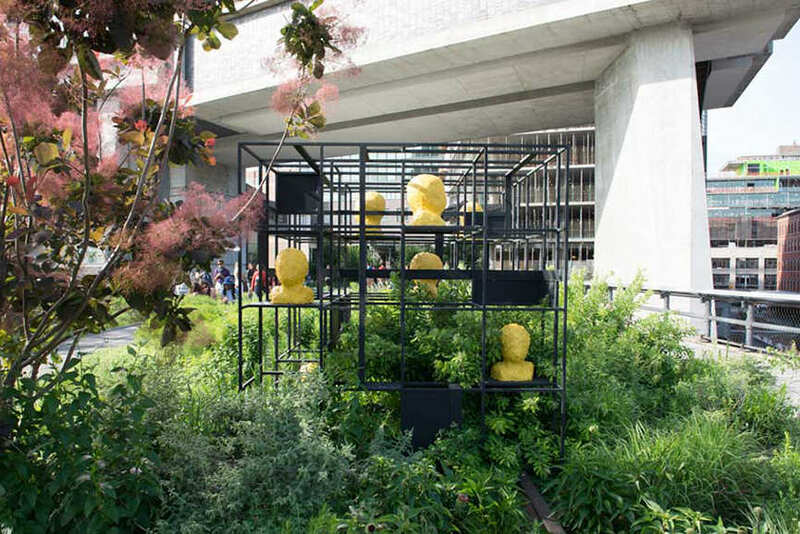 This installation will be left to interact with the surroundings until the following year, changing through time and with seasons to come and intertwining with the plants on the High Line. Rashid Johnson’s Blocks will be on display until March 2016. 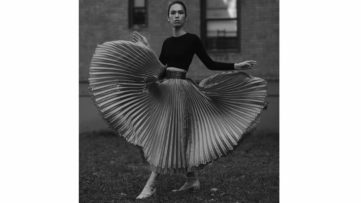 The annual summer art exhibition on the shores of the Randall’s Island will feature works of Nicholas Fraser, Sharon Ma, Rob Swainston, Rica Takashima and David J. Wilson. 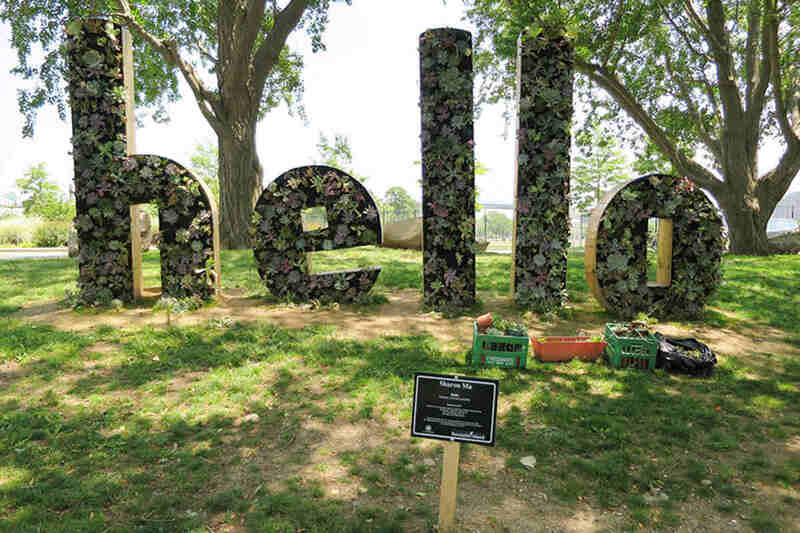 After the successful Frieze in May, this outdoor exhibition of sculptures is the new big event happening on Randall’s Island this summer. Flow.15 will bring some new sculptures and installations from Ma’s Hello artwork planted with succulent plants to Fraser’s All Consuming peculiar road sign which points towards the archaeological ruins of the cities rather than island’s landmarks. The artworks will be on display through November 30th. 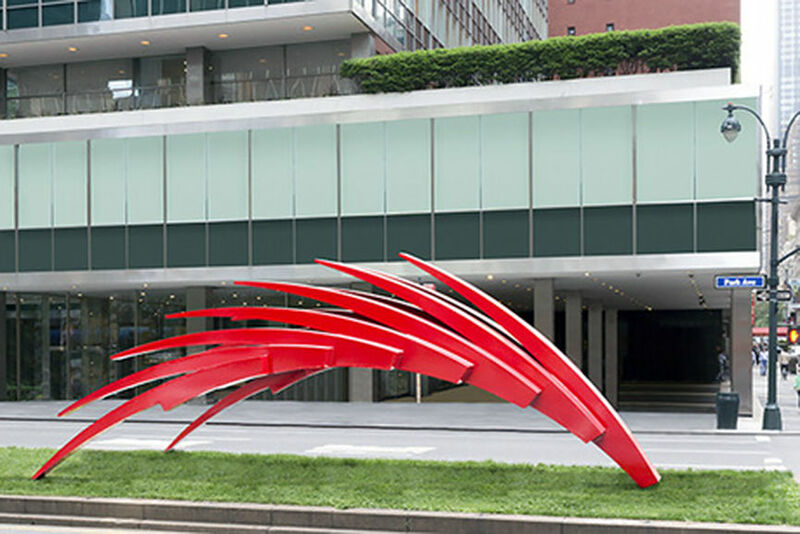 Seven monumental sculptures made by the internationally renowned artist, engineer and architect Santiago Calatrava are on display on Park Avenue between 52nd and 55th Streets in NYC. 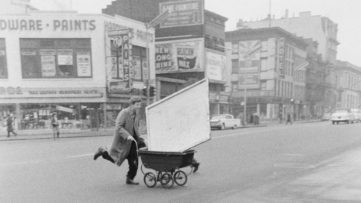 The exhibition is mounted by the Marlborough Gallery, NYC Parks and Fund for Park Avenue. 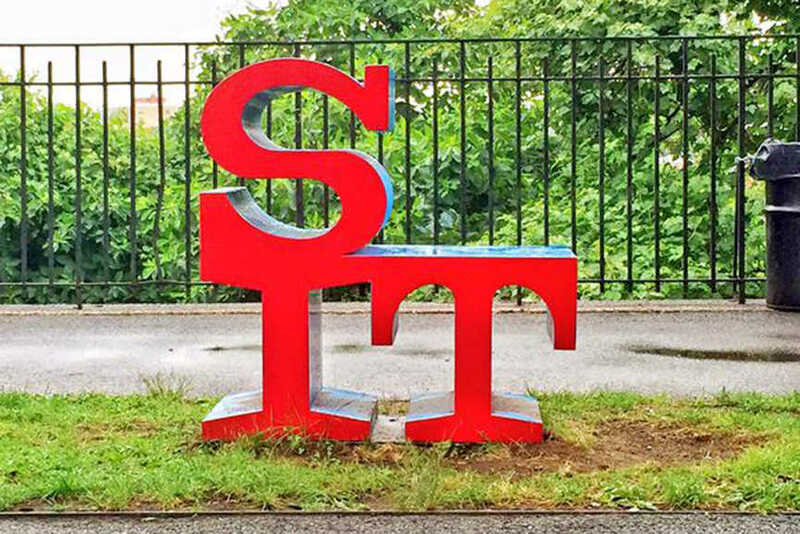 These new aluminum sculptures created by the Spanish artist are painted in red, silver and black and they blend perfectly in the urban and dynamic surroundings. Calatrava’s sculptural works can be seen through November 15th. 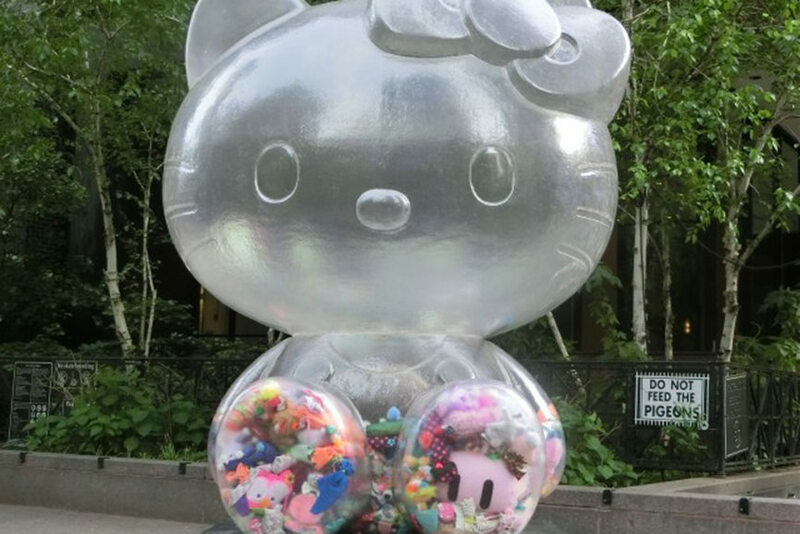 Japanese artist Sebastian Masuda is presenting his nine-foot-tall luminous Hello Kitty sculpture at Dag Hammarskjold Plaza in Manhattan. This time capsule is only one in the series as this artist has already installed similar works in Amsterdam and Miami, and plans many more in the future. These interactive installations allow the viewers to engage in the project by inserting colorful personal items which will continue their journey to Tokyo, where Masuda plans to gather all of his capsules and mark the Olympics in 2020. The Time after Time Capsule is on display until September 13th. Sign up to My Widewalls, for FREE! 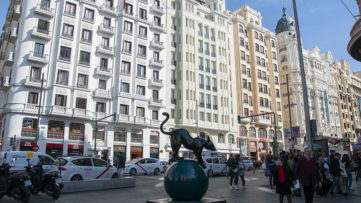 Street Interventions Grace Madrid During Urvanity Art 2019!